Poorly maintained or broken guttering can result in causing damage to your home or garden by not allowing the rainwater to drain properly. If there is standing water in your garden it can kill grass or plants which can result in land erosion. 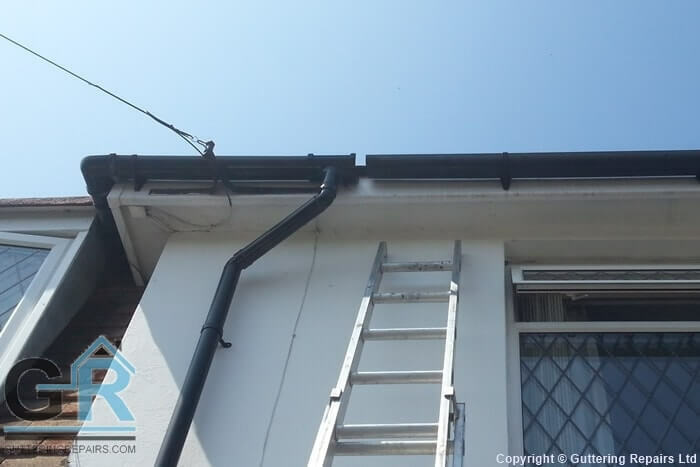 If you have broken guttering or need guttering repairs in North West London then contact us directly. We highly recommend that your rain guttering system in North West London is checked after heavy or major storms as you may need guttering repair work or gutter cleaning work done on your home or business rain gutters. If you have guttering repairs queries or you are looking for a free, no obligation quote for your guttering repairs in North West London please fill in the contact form so we can call you back, or contact us directly and we can discuss your guttering repair queries over the phone.